If the Workspace in question is a full Project—you can learn more about deleting Projects here. If the Workspace is part of a Project, and you only want to remove the specific Workspace—which we'll go over below! Note sure what a Workspace is or what it does? Check out more here. 1. Navigate to the Project that requires an additional Workspace. 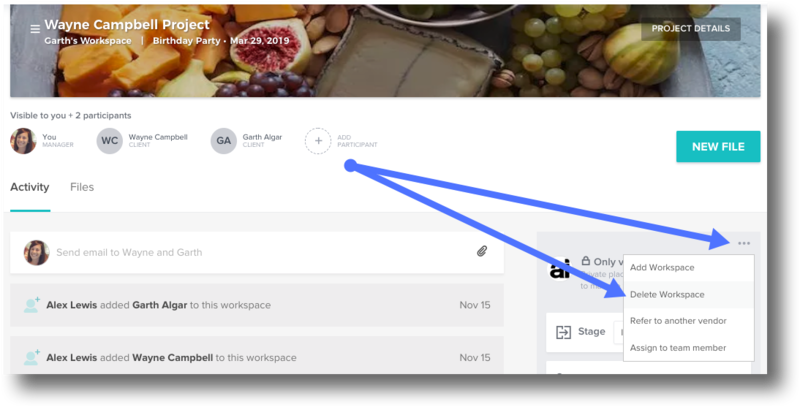 Search via the search icon in the top left corner of your Home page, or select the Projects tab to review your full list of Projects. 2. Select the Workspace you'll be deleting from the Related Workspaces section. 3. In the Project Options section, click the 3-dot icon. 5. If you're sure you'd like to delete, click Confirm. PLEASE NOTE: This will PERMANENTLY remove all data associated with this Workspace, including all the files within it.